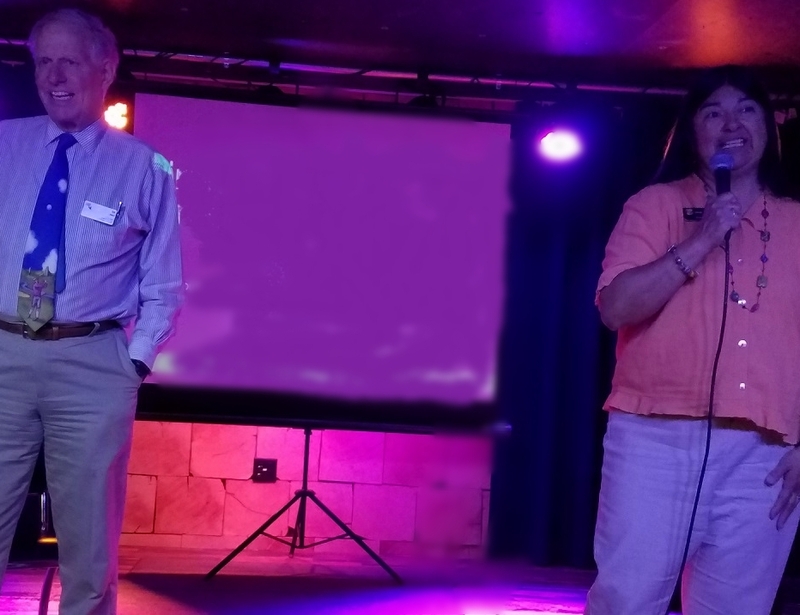 On May 31, activists, clinicians, patients, caregivers, and friends from throughout the Baltimore/DC area came to hear Allison Galbraith's vision for universal care and her plan to defeat Trumpist Andy Harris. You are invited to a special evening of drinks, appetizers, and inspiration in support of universal health care. Zackary Berger, MD, PhD, will speak about the national activities of Clinicians for Progressive Care (C4PC) a political action committee promoting and endorsing progressive healthcare candidates. 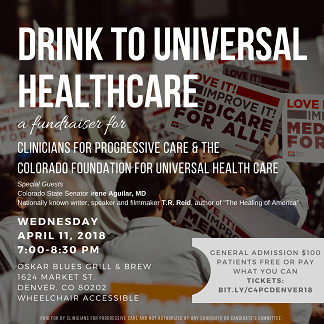 C4PC is hosting the fundraiser and will donate half of the funds raised to the Colorado Foundation for Universal Health Care, a nonprofit working to bring universal health care to Colorado. Colorado State Senator Irene Aguilar, MD, is just the kind of candidate that C4PC has supported elsewhere in the country. Sen. Aguilar has made a real difference in Colorado. Not only did she champion Colorado's Amendment 69, a ballot initiative for a state based universal health care system, she is respected on both sides of the aisle as a health policy expert. T.R. Reid is a nationally known writer, speaker and filmmaker. He is the author of the bestselling The Healing of America as well as the PBS documentary "Sick Around the World,” and was one of the leading advocates for Colorado's Amendment 69. 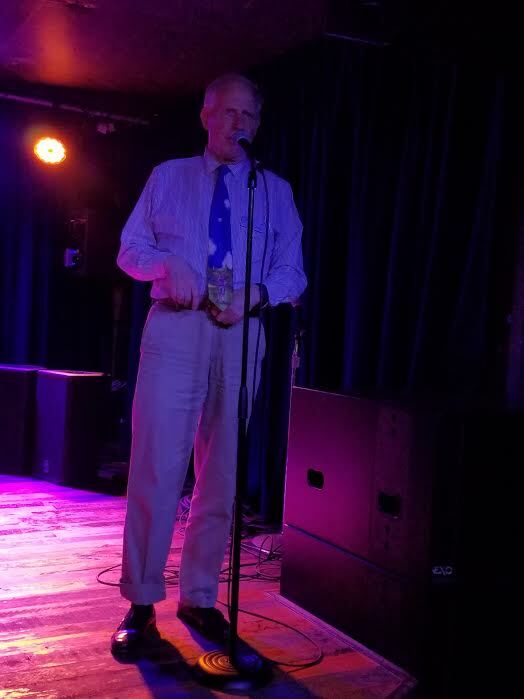 As a speaker and organizer, he has appeared before a number of groups of healthcare professionals and citizens working towards universal health care. Please join us on Wednesday, April 11, 2018, from 7 to 8:30 pm, at Oskar Blues Grill & Brew, 1624 Market St., Denver CO 80023. For more information and to purchase tickets, please see http://bit.ly/C4PCDenver18. Please both purchase a ticket and donate as much as you can for these proactive organizations. If you cannot attend, you can still be part of the universal healthcare community by purchasing a ticket and making a donation.